Would you love to be the envy of friends, family, and fellow booklovers alike? Well, here’s your chance… but just for a few more days! 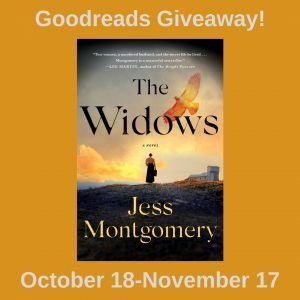 The Goodreads Giveaway of 50 advance review copies of THE WIDOWS ends in just TWO DAYS! One of those copies could be YOURS! That’s right, the clock’s a ticking, and November 17 marks the deadline! So, click here to enter for your chance to win a copy! And good luck!